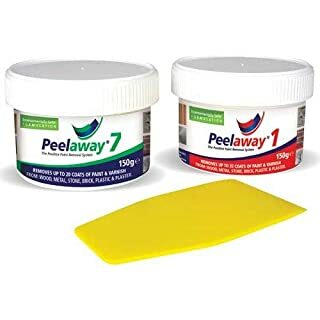 Both Peel Away 1 and Peel Away 7 Paint Removal Systems are designed for the complete removal of many years worth of layer upon layer of paint in one application. 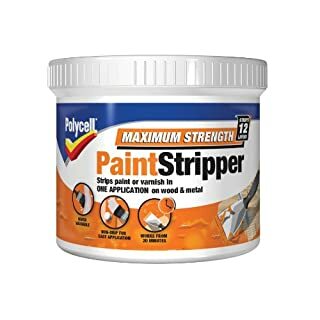 There is no better way to strip paint than Polycell Maximum Strength Paint Stripper. The powerful solvent strips most types of paint and varnish without harming the wood to get back to the surface you want. 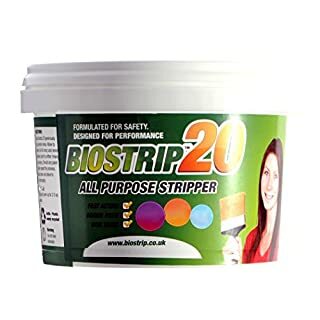 Biostrip 20 is easy to use and safe. 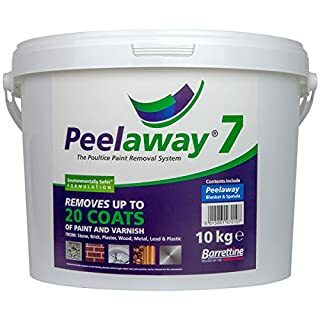 With high quality and proven performance it can be used in most situations to remove paint, varnish, primer etc from a wide range of surfaces. Water based solution providing a more ecological approach to paint and varnish stripping. Biostrip 20 can remove : Water Based Paints (emulsion, acrylic etc). Oil Based Paints (gloss, radiator etc). Primers (standard, chrome, aerospace etc). Varnish. 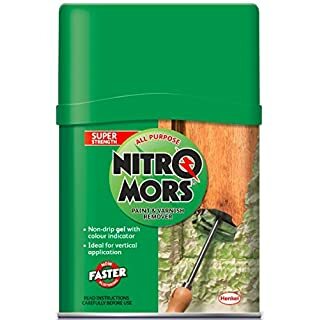 Suitable for use on the following surfaces : Soft and Hard Wood, Stone, Brick, Concrete, Masonry uPVC, Metals, Glass. Directions for Usage: Step 1: Brush evenly onto paint that you intend to remove. Step 2: Leave in place until the paint blisters or softens Step 3: Once it has completely softened it can be removed using a scraper, cloth or power washer Step 4: Wash area down with fresh soapy water Repeat as required. 500ml should cover a surface of approximately 2-3 square metres. Depending upon the paint type and number of layers of paint present you may need to repeat the application in some areas Top Tip: Let Biostrip do the hard work, as long as it's not allowed to dry out it will continue to work. Cover the applied area with polythene or clingfilm. Leave 24 hours before removing. Biostrip can be used on most general plastics. We would however always recommend that you test on a small area first. Note: Biostrip 20 is not suitable for removing bicyle/automotive paint. Please contact us for advice on treating these surfaces. 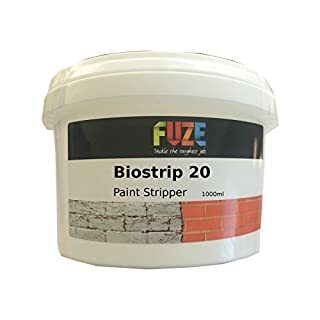 Biostrip 20 from FUZE Products is easy to use and safe. 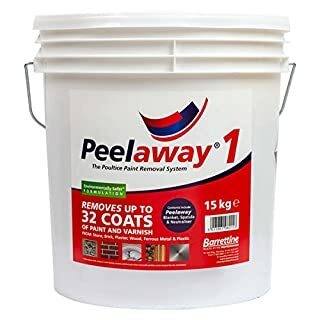 With high quality and proven performance it can be used in most situations to remove paint, varnish, primer etc from a wide range of surfaces. Water based solution providing a more ecological approach to paint and varnish stripping. Biostrip 20 can remove : Water Based Paints (emulsion, acrylic etc). Oil Based Paints (gloss, radiator etc). Primers (standard, chrome, aerospace etc). Varnish. 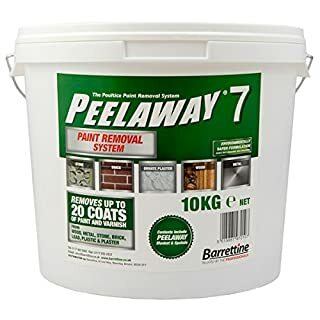 Suitable for use on the following surfaces : Soft and Hard Wood, Stone, Brick, Concrete, Masonry uPVC, Metals, Glass. Directions for Usage: Step 1: Brush evenly onto paint that you intend to remove. Step 2: Leave in place until the paint blisters or softens Step 3: Once it has completely softened it can be removed using a scraper, cloth or power washer Step 4: Wash area down with fresh soapy water Repeat as required. 500ml should cover a surface of approximately 2-3 square metres. Depending upon the paint type and number of layers of paint present you may need to repeat the application in some areas Top Tip: Let Biostrip do the hard work, as long as it's not allowed to dry out it will continue to work. Cover the applied area with polythene or clingfilm. Leave 24 hours before removing. Biostrip can be used on most general plastics. We would however always recommend that you test on a small area first. Note: Biostrip 20 is not suitable for removing bicyle/automotive paint. Please contact us for advice on treating these surfaces. The year is 2454. The sun is setting on a hard-won golden age. For three centuries, humanity has enjoyed peace and prosperity fuelled by technological abundance, oracular data analytics, careful censorship... and just a little blood. 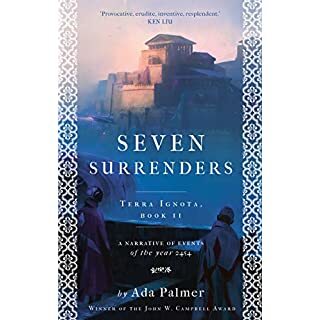 In a world dominated by seven factions, or 'Hives', the price of peace has been a few secret murders, mathematically planned to ensure political and economic balance. But now the secret is out, the balance is slipping and war beckons. Convict Mycroft Canner knew this war was coming – he committed his terrible crimes to forestall it. Now, he has just one card left, a wild card no degree of statistical genius could have predicted: a thirteen-year-old child with the power to work miracles. Turning thought into matter, matter in life, this child has the power to save the world, or to doom it. 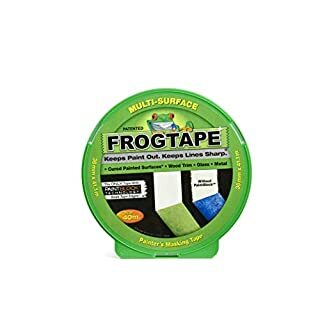 FrogTape Multi-Surface is a medium adhesion painters tape designed for use on cured painted walls, wooden trim, glass and metal. After application it will remove cleanly from most surfaces for up to 21 days (or 7 days in direct sunlight). FrogTape is a true innovation - saving you time, money and giving you professional results first and every time. Its super absorbent polymer along the tapes edge attracts the moisture in emulsion paints, creating a micro barrier. The result is the sharpest lines possible, making touch-ups a thing of the past.36 mm wide x 41.1 m roll. 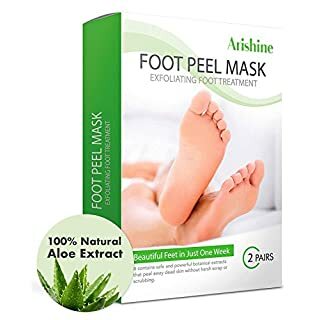 Arishine Foot Peel Mask is the best solution for the Dry, Hard and Callused Feet. It helps people who suffer from painful and itchy feet because of dry and cracked skin. 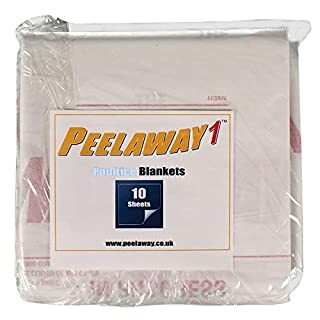 It is safe and easy to use from the comfort of your home. Salicylic acid-free Irritation free.Make your foot like baby foot. Direction: 1. Clean and dry the feet. 2. Take out the foot mask and cut it along the dotted line as indicated. put your foot into the mask and seal the opening by the sticker. 3. Wear the mask for 60 mins to make the essence in the liquid to be absorbed into the skin. For best results, we recommend placing a pair of socks over the plastic booties and walking slowly for a while to circulate the liquid over the entire foot. 4. Remove the mask and wash your feet with pure water. 5. The dead skin cells will begin to peel between 3-7 days after the initial application. 6. Allow dead skin to peel offer naturally.Do not forcibly remove the dead skin, because it may cause damage to the skin. 7. Finally your feet will become soft and smooth, just like baby feet.. Attentions: 1. For external use only. 2. Do not use this product if you are pregnant or nursing. 3. Do not apply to wounds or damaged skin. 4. If skin feel irritation, please stop using the product. 5. Keep out of reach of children. 6. Please store it in a cool place. 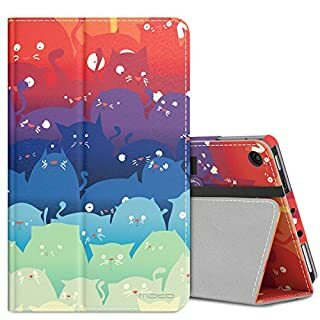 Compatibility: Custom designed for your precious All-New Amazon Fire 7 2017 Tablet, this MoKo case features a combination of functionality and style. Well built to protect your All-New Amazon Fire 7 2017 Tablet for the years to come. Product Description: Folding cover case, lightweight and protective. Automatically wakes or puts your device to sleep when the lid is opened and closed. Convenient stand position for watching movie or typing. Interior hand strap for comfortable one-handed use. With stylus pen loop. With magnetic closure and elastic band to keep front cover open. Notes: Fits Amazon Fire (7" 7th Gen - 2017 release) ONLY. NOT FIT 2015 (5th Gen) or 2014 (4th Gen) or Previous Fire HD / HDX 7 inch or 1st Gen Fire 7 (2011 release) Tablets. About us: This product is sold exclusively by BSCstore. Only buy from BSCstore to get genuine MoKo products with Lifetime warranty and superb customer service. MoKo is registered trademark of BSCstore and is exclusively distributed by BSCstore on Amazon. MoKo trademark is protected by US Trademark Law. 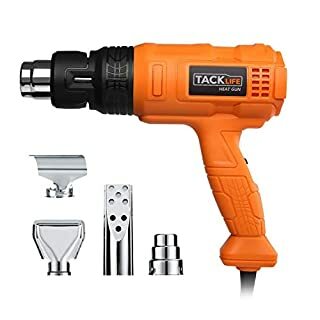 This all purpose product is fast acting for a quick and efficient job. It is non-drip and so ideal for both horizontal and vertical surfaces. It is green coloured so it is really easy to see where it applied. It removes paint, varnish and lacquer. It's covers up to 1 square metre per 375ml. 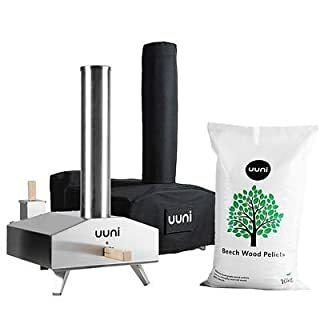 How does it work?The Uuni 3 Wood-Fired Pizza Oven is fuelled by sustainable beechwood pellets, which are dense and inexpensive. They are just like regular wood, only compressed. They ignite easily, helping the oven reach temperatures of over 500°C in just 10 minutes! The cordierite pizza stone inside absorbs and holds the heat and soaks up any moisture in your dough to give you traditionally crisp-crusted pizza in as little as 60 seconds.What's more, the Uuni 3 Pizza Oven is for more than just pizza. It lets you bake flat breads, roast vegetables, cook meat and fish without having to leave the party.Why choose Uuni 3?The foldaway legs stay cool so you can place the oven anywhere without worrying about damaging your surfaces. With 3 stay-cool legs, the Uuni 3 will remain stable, even on uneven surfaces.Being so compact, the Uuni 3 Pizza Oven is perfect for anyone whose outdoor space is restricted to a small backyard, or even a balcony. It also has a super-speedy clip release mechanism for the chimney - so it's quicker to pack up and get moving, whether you're going into the hills or hitting the beach.Every Uuni 3 Wood-Fired Oven comes with a pizza peel, made from aluminium, for preparing and sliding your pizza in and out of the oven.Technical specificationsSize: 35W x 64L x 24H cm with legs extended, excluding door handle. Height including chimney: 67cmStone baking board size: 33.7 x 33.7cmMaximum pizza size: 13"Fuel: wood pelletsMaterials: 439 stainless steel, stainless steel rivets, FSC certified wooden handles, cordierite stone baking boardBox contains: wood fired oven, pellet burner, stone baking board, pizza peel, wooden pellets, cover, user manual and safety instructions. Stay up to date, subscribe here for our newsletter.